There are plenty of methods for coping with email overload, and you probably have one or two tricks of your own to try and reach inbox zero. But what about tips backed up by proper scientific research? These nuggets of advice are all based on recent studies of our email habits. Of course, there’s no one-size-fits-all solution to email, and some of these studies have pretty small sample sizes. That said, if you’re after some inbox strategies that have emerged from genuine research, both for sending and receiving email, try taking the following suggestions on board. If you’re checking your email first thing in the morning, last thing at night, and all through the day, then you might want to think about changing your habits. A 2015 survey of 2,000 UK workers found heightened feelings of pressure and stress linked to both having an email app open all day and having push notifications for emails switched on. While there are ways to cut down on incoming email, you’re not always responsible for how many emails arrive in your inbox. If you want to maintain peace of mind, then part of the secret is knowing your limitations and not feeling like a failure because you can’t reach inbox zero, according to a 2010 study of 26 information workers. “The evidence shows that most people think it is just their own individual failing that they can’t keep up both with the technology and the amount of communication they are having to deal with,” said Dr Melissa Gregg, who was in charge of the email research—and that attitude tends to lead to stronger feelings of stress and anxiety. Research carried out in 2010 discovered that spelling and grammatical errors inside emails could hurt your reputation. The recipients of emails filled with mistakes and typos tend to think of the sender as less conscientious, less intelligent, and not as trustworthy compared with those who’ve properly proofread their messages before sending. However, it’s not such a serious matter when you’re dealing with friends and family. We tend to judge spelling mistakes and grammar errors more harshly when the messages are from people we don’t already know—probably because we don’t have any other reference points to judge the character of the person at the other end of the line. If you don’t want wordy, lengthy emails filling up your inbox, keep your own missives short. Data collected in 2015 from some 16 billion anonymized emails found that short emails begat shorter replies, so keeping conversations brief to begin with is a handy way of trying to minimize the amount of text you have to wade through. There were plenty of other useful stats from the research. 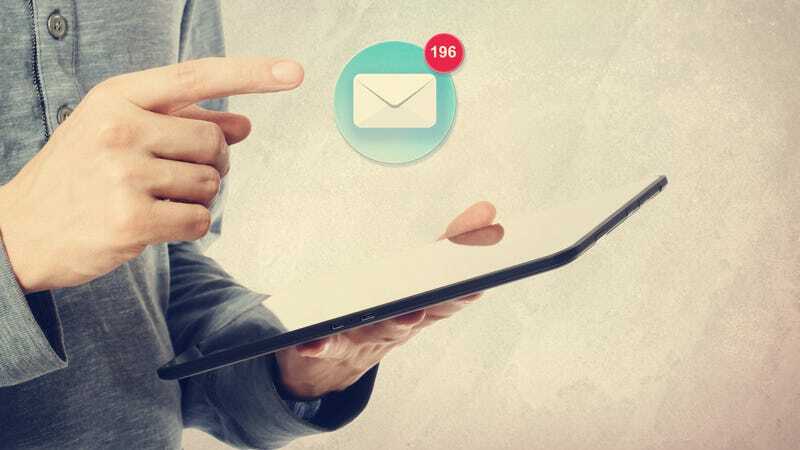 Older people respond to increasing levels of email by replying to fewer messages, for example, whereas younger people tend to send the same number of replies but keep them shorter. Plus, the best time to email someone if you want a response is during a weekday morning. There have been several studies looking at how we’re not really multitasking when we think we’re multitasking—we’re actually doing several things less efficiently than we would be if we tackled them one by one. This principle also applies to email and how often you’re tempted to check in for new messages arriving in your inbox. A study carried out back in 2002, which monitored the habits of 16 employees over 28 days, found that the average ‘recovery time’ from an email interruption was 64 seconds. That means it’s taking you more than a minute to properly get back to whatever it was you were doing before you decided to flick over to your email client. Research published in 2015, based on a study of 124 adults, backs up the previous point. Setting specific email breaks rather than constantly dipping in and out of your inbox reduces daily stress and improves general well-being. In the experiment in question, participants limited themselves to three email checks per day.